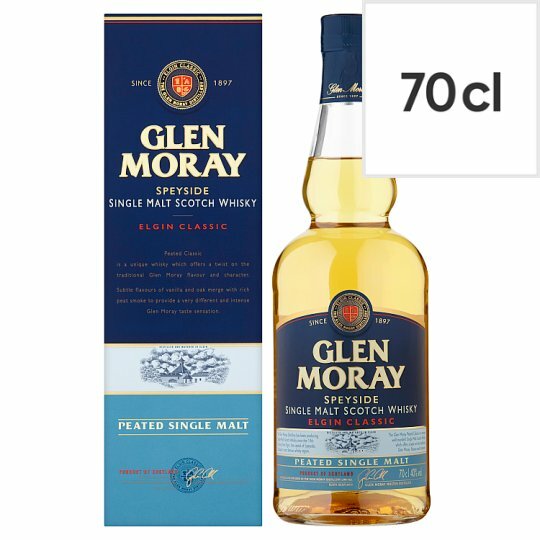 The Glen Moray Peated Classic is a unique well-rounded Single Malt Scotch Whisky which offers a twist on the traditional Glen Moray flavour and character. Subtle flavours of vanilla and oak merge with rich peat smoke to provide a very different and intense Glen Moray taste sensation. A Glen Moray Elgin Classic distilled using the finest malted barley which has been infused with peat smoke. Finish: Long sweet and spicy.